As more critics are speaking out against Texas’ “bathroom bill,” concerns about the legislation have largely echoed the anxiety that fueled the economic fallout in North Carolina when it passed similar legislation. Citing any laws that are “discriminatory or inconsistent with our values,” the NFL recently raised the prospect that the legislation could impact whether Texas gets future Super Bowls. Raising concerns about the safety of fans, crews and fellow artists, more than 135 actors and singers — some of whom are set to tour in Texas — came out in opposition to the legislation. Saying those worries are unfounded, Lt. Gov. Dan Patrick has underscored that the measure he’s championing is different from North Carolina’s law. 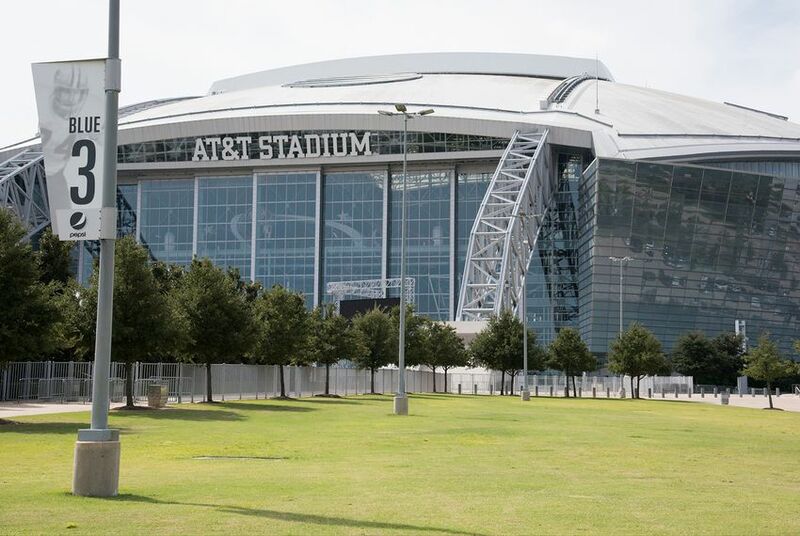 Among the distinctions that Patrick points to in Senate Bill 6: It includes an exemption from Texas’ bathroom policies for some stadiums, convention centers and entertainment centers. It’s unclear whether the stadium and convention center exemption, which would cover venues like NRG Stadium in Houston where the Super Bowl took place this year, was specifically included in the legislation to quell critics and those concerned about any possible economic fallout. Representatives for state Sen. Lois Kolkhorst, R-Brenham, the bill's author, and Patrick did not respond to requests for comment regarding the exemption. But they’ve both pointed to the exemption in defending the measure. “We want the NCAA, we want the NBA [and] the NFL, and actually, in our bill we allow them to set their own policy,” Patrick said Wednesday while discussing the bill in Washington, D.C. Associations holding conventions in Texas are already “expressing concern” over the legislation, tourism officials say. Dallas Cowboys owner Jerry Jones has reached out to Patrick regarding the legislation, Patrick’s staff confirmed. And the Texas Association of Business, which represents hundreds of businesses and regularly sides with conservatives, is also opposed to the legislation, in part over concerns about it affecting the state's ability to obtain business investments and recruit top talent to the state. It’s less certain what the legislation would mean for sports events already awarded to Texas. The NCAA alone has at least eight events scheduled in Texas through 2019. That includes the 2018 Men’s Final Four slated to be held in San Antonio, which opponents estimate could cost the state $135 million in lost profits if the NCAA pulls the event. In announcing cancellations in North Carolina, the NCAA — which did not respond to requests for comment for this article — pointed out four specific factors behind the cancellations, including bathroom regulations similar to those Texas has proposed. And it’s unclear whether similar cancellations could lead to other business losses. While Texas Competes doesn’t endorse or oppose any pending legislation, major corporations have aligned with the nonprofit’s mission. Among those who have signed on is PayPal, which canceled a 400-job expansion in North Carolina following the passage of the bathroom regulations there. Businesses and convention planners are unwilling to be associated with measures in any state that appear “to be kind of cruelly targeting an already vulnerable group,” Shortall of Texas Competes said, and the cost of cancellations could trickle down to smaller businesses. Maintaining that the bill is about keeping men out of women’s restrooms, Patrick has blasted concerns about possible economic repercussion. He was recently emboldened by a PolitiFact Texas report that identified flaws in the numbers widely used to sound the alarm on how much the legislation could cost the state in GDP and lost jobs. And in dispelling concerns about losing major championship games, Patrick and his supporters point to Houston. Voters there in 2015 rejected a nondiscrimination ordinance, better known as HERO, that would have made it illegal to discriminate against someone based on 15 different “protected characteristics,” including race, religion, sexual orientation and gender identity. But the economic argument has been the strongest holdup for House Speaker Joe Straus, who has warned that lawmakers should be “very careful” about doing anything that would negatively impact the state’s economic competitiveness. For LGBT rights advocates, the business concerns around the legislation have helped bolster their efforts to knock down the legislation they’ve denounced as discriminatory. “I think that never in the history of our battles have we seen the business community more unified and speaking with one voice,” Chad Griffin, president of the Human Rights Campaign, recently told the Tribune. Mariana Alfaro contributed to this report. After the Super Bowl, the NFL has raised the prospect that Texas’ so-called “bathroom bill” could impact future championship football games. Here’s what the Texas "bathroom bill" means in plain English. Disclosure: The Texas Association of Business has been a financial supporter of The Texas Tribune. A complete list of Tribune donors and sponsors can be viewed here.